An evolving society now sees comparably high rates for women in China seeking their own career. Looking at the top end of the scale, two-thirds of the world’s self-made female billionaires are Chinese (source: Hurun Report). This, in turn, has a strong trickle-down effect and promotes independence and a new, empowered mindset that leads to newly developing consumer habits and purchasing behaviors with an increased sense of “self”, as some expressed that “If only you are good to yourself, you know how to appreciate life and love”. One key aspect becoming more prevalent is self-gifting, at special occasions or with a special meaning. The last consumer survey of over 10,000 females aged 18-54 living in Tier 1 - 3 cities show that in terms of jewelry, platinum is the preferred choice for women to buy on love occasions for themselves, with 22% of the self-purchased pieces of platinum jewelry taking place on such dates, much higher than 14% for all jewelry categories, PGI said. The shifts in culture and society in China are also impacting marriage. As more young people are seeking a successful career and starting their family at a later age, marriage has been more celebrated as a strong bond of the couple rather than a social obligation, which dovetails perfectly with platinum’s own properties of rarity and strength, and holding a diamond firmly. 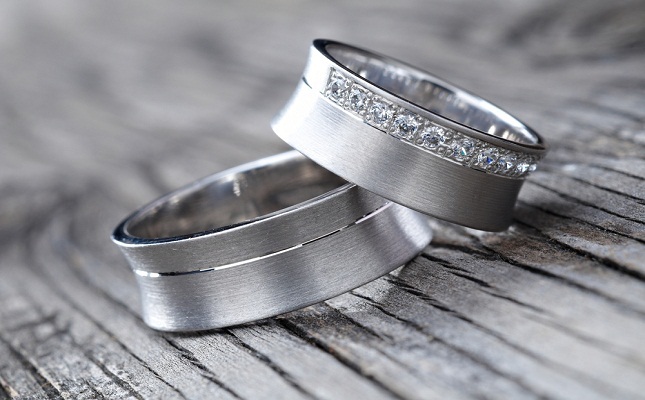 Over 80% of surveyed brides-to-be in 18 Tier 1-3 cities in 2017 were considering platinum for their wedding rings. In the non-bridal segment, not surprisingly, 74% of the non-bridal platinum jewelry pieces gifted to Chinese women are from partners and boyfriends, to celebrate memorable moments in their relationships, which is over 10% higher than the share for total jewelry. With platinum recognized as a preference for love-based jewelry purchases, Valentine’s Day is predicted to continue its strong contribution, whether from individuals purchasing for themselves or from romance-based efforts and proposals. Of the 600 Japanese women surveyed by Platinum Guild International in a 2018 consumer survey on jewelry, 95% of them find receiving platinum jewelry exciting. Compared to Japanese women in 30s and 40s+, those in their 20s rank the most keen to make purchases for themselves, at times for seasonal moments such as Valentine’s Day and their own birthday, but crucially for a personal ‘reward’. Valentine’s Day is seen as a modern and aspirational festive to be involved in, with platinum being in synergy with Japanese concepts of design: pure and authentic, precious and with clarity. These traits are clear signifiers of why the precious metal continues to find particular success in Japanese cities and among consumers who are looking for meaning in their jewelry, PGI concluded.